Lowdown: A guy escaping law studies becomes the assistant of a has been illusionist. 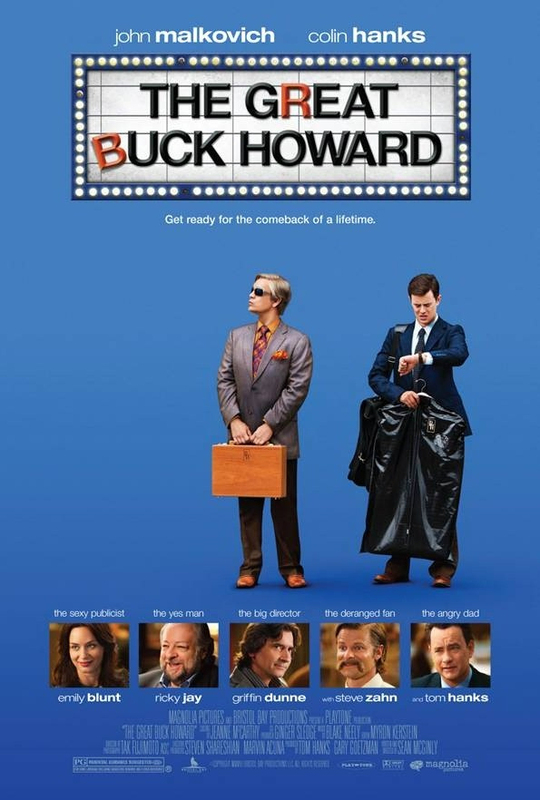 2008’s The Great Buck Howard is one of those movies that makes one go “what were they trying to say in there, exactly”, but where the answer to that question doesn’t really matter because the hour and a half you spent with the movie trying to figure out the answer was pleasant enough anyway. Between its mildly interesting plot and its fine actors one really cannot argue with this film. Troy (Colin Hanks, the son of) defies the orders of his father (portrayed by Colin's real life father Tom, who also happens to be a producer) and abandons law school in search of some dream. The matter of what dream it is rather elusive; he wants to be a writer, but then again who doesn’t? Through this and that, Troy ends up supporting himself by becoming the assistant of a rather peculiar guy, an illusionist called Buck Howard (John Malkovich), whose character is apparently based on a real life dude. Buck is a has been: he used to be a regular on the old Tonight Show, but has been left high and dry for a while and therefore considers Jay Leno the enemy of all that is decent. He does go about the USA performing before smallish audiences at various not so famous establishments, which is where Troy fits. And as peculiar as he gets, Buck is also a decent person. Eventually Buck comes up with a trick that would bring him fortune & glory back, which is why he calls upon for some PR aid. His agency sends a rather reluctant helper (Emily Blunt) instead of the guy he was after, but Troy sure doesn’t mind. Through this and that, all turns out well, and we learn that in this universe what goes around comes around; follow your heart, be good, do good things, and good things will happen to you. Oh, that good old American dream. Pity it mostly happens in movies. Overall: Not a bad way to spend an evening. 3 out of 5 crabs.